عندما تزور دوندين, ستشعر أنك في بيتك في منتجع سينيك دونيدين سيتي الذي يقدم لك إقامة متميزة و خدمات عظيمة. يمكن من هنا للضيوف الاستمتاع بسهولة الوصول إلى كل ما تقدمه هذه المدينة النابضة بالحياة. بالنسبة لمن يريد الخروج، هذه بعض المعالم السياحية المتوفرة للزوار Hard To Find Secondhand Bookshop, Milford Galleries, ريالتو. ببساطة كل الخدمات وأساليب الضيافة التي تشتهر بها Scenic Hotel Group تجعلك تشعر وكأنك في بيتك. يقدم الفندق واي فاي مجاني في جميع الغرف, مكتب الاستقبال على مدار الساعة, مرافق مخصصة لذوي الاحتياجات الخاصة, واي فاي في المناطق العامة, خدمة صف السيارات لضمان الراحة القصوى لضيوفه. تنعكس أجواء منتجع سينيك دونيدين سيتي في غرف الضيوف.اتصال لاسلكي بالإنترنت, اتصال لاسلكي بشبكة الإنترنت (مجاني), غرف لغير المدخنين, مكيف هواء, تدفئة هي بعض الميزات الموجود في العديد من الغرف. يقدم الفندق خدمات رائعة كمثل مركز للياقة البدنية لمساعدتك على الاسترخاء بعد نهار طويل من النشاط والتجوال في المدينة. مهما كانت أسبابك لزيارة دوندين، فإن منتجع سينيك دونيدين سيتي هو الخيار الأفضل لإقامة مثيرة وممتعة. Loved this place, and the rooms are clean and nice. The location of the hotel is great. The room was clean and the staff are friendly. In the heart of the city , close to Octogon, Restaurants and walking distance to many attractions. Hotel could do with some sprucing up in the public areas , lifts and hallways but room was excellent & extra large . It was warm and comfy with huge TV . All amenities were clean and staff friendly and helpful. Highly recommend this hotel and would stay again. The trainee on duty when we booked in was impressive and set a positive tone for the company. Don't remember his name but it was on the 15/7/18. We stayed in seven hotels in nine days and he was memorable for being informative, professional, helpful and completely free of arrogance. Eateries are nearby. The Octagen is just one street away. The staff are very curteous and helpful. Check in, check out was easy and fast. 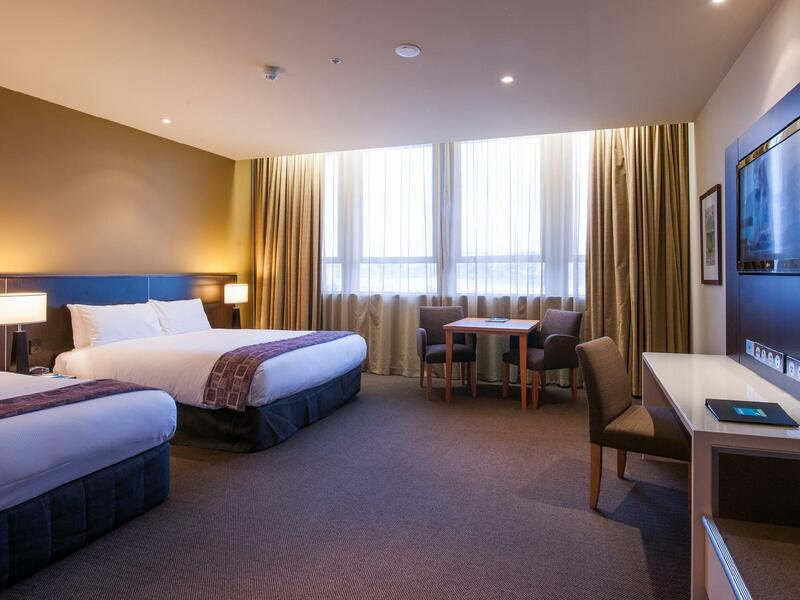 We always stay in the Hotel when we are in Dunedin, however the airconditioning was not working in any of our rooms (we had 3) and although it is wonderful in winter, it was very stifling and we found it unbearably hot. Trying to sleep was a nightmare. Please look into accommodating for the hot summer months. 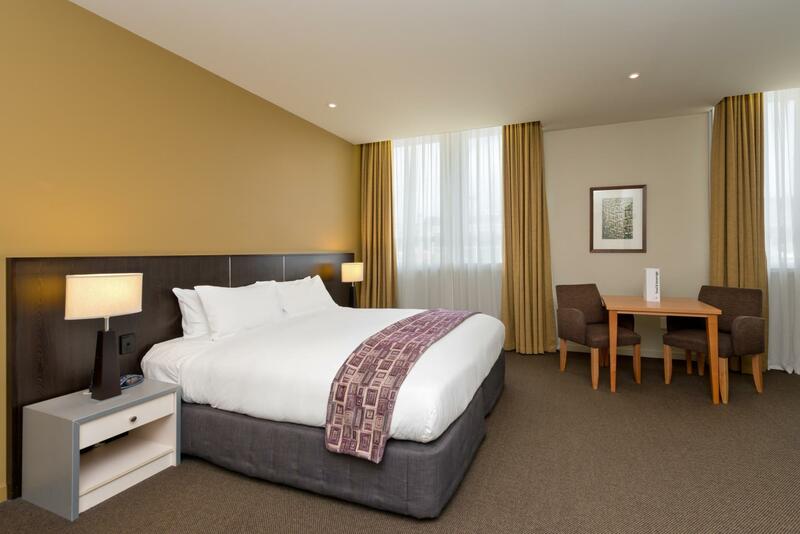 The hotel was great value for money in a fantastic location just a short walk to the Octagon. We had a nice big, clean room with comfortable beds. The bathroom was nice and modern too. All staff were friendly and helpful at all times. A lady who named Rowena if i'm not wrong was so helpful during my stay. She knew i had 3 pax and so she offered to a bigger room for more comfort, and she guided where are the famous places to be visited. Loving their bathroom amenities. The room was average level and unfortunately on the side of Princess Street which was extremely noisy in Saturday night. Even the double windows could not stop the noise. Got excellent service for parking the car and happy to pay for that. All round this was an easy and pleasant hotel to stay at. 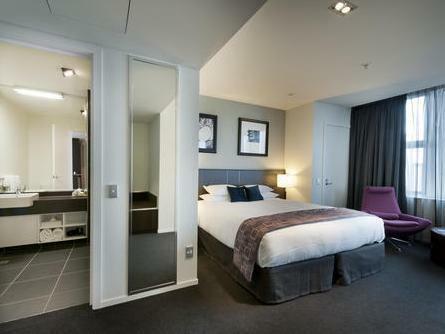 The cleanliness of the room and facilities was excellent - best I've experienced compared to many hotels I visit. The only fault I'd say is the reception staff were a little underwhelming and even misinformed me when I was told microwaves were available - not overly negative but I'd expect hotel reception staff to be more attentive to a guest's needs. I'd recommend the hotel and would definitely book there again. I had originally booked to stay at another hotel, but they backed out at the last minute and Agoda found me this one. Frankly, I think they did me a huge favour, as the Scenic was a much better hotel in a superb, convenient location in the middle of Dunedin. Large numbers of tour groups use this hotel but they seem geared up for it and the individual traveller is well looked after as well. 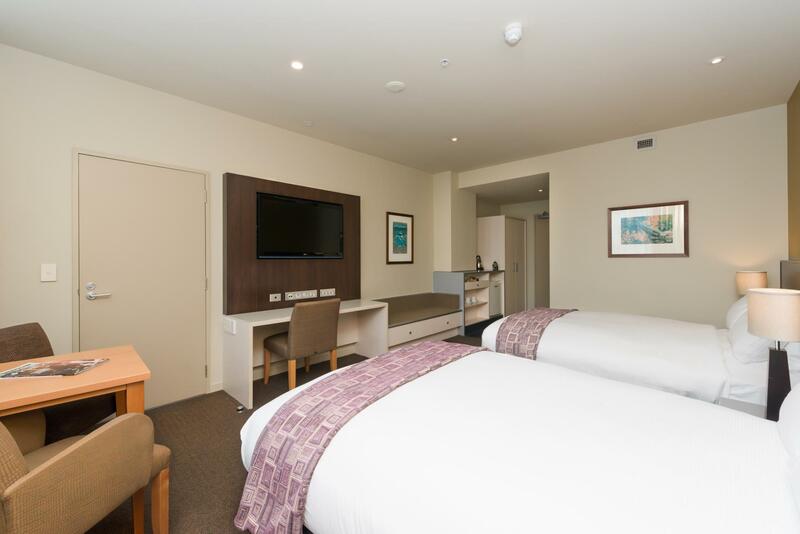 In the center of Dunedin, close to the famous railway station as well as restaurants, shops. 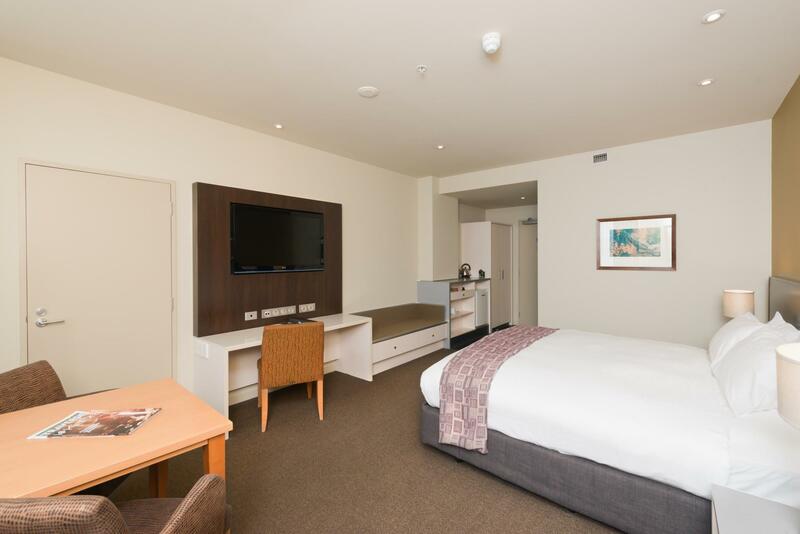 Superior twin QQ room is very spacious with two double beds, well sleeps 2adults+2 children. Great value for money! Thoroughly enjoyed our stay. It was so central to the city we walked everywhere but also opted for the valet option which the gentleman was really nice. Upon check in the reception lady wasn't very nice which wasn't an ideal initial thought about staying there. Our room wasn't cleaned until late in the day which made us try to do things outside the hotel from 10am to as late a possible which got a bit hard when we were exhausted. These were the only two things to fault so everything else was great and highly recommended. 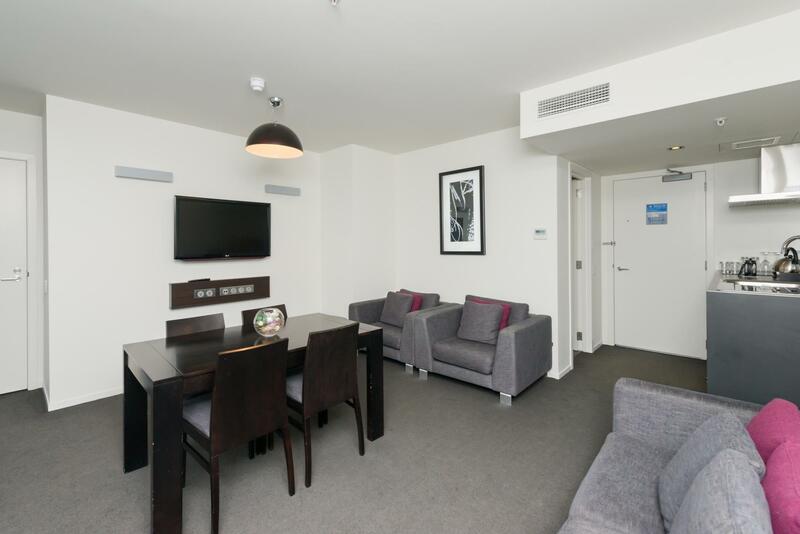 Chose the hotel for its proximity to the Octagon and a good selection of restaurants. We were a small family and had just driven in from Queenstown; so we appreciated the friendliness and helpfulness shown by the hotel staff. The room was spacious and it overlooks the city. It was very clean and comfortable. Food was also great. Definitely worth the money we paid. Will come here again if we visit the city. The Scenic Hotel is easily accessible by city bus and by foot. Stores, cafes, restaurants, several museums, and historic sites are found within comfortable walking distances. The front desk staff were welcoming and helpful. I'd definitely stay here again. I didn't eat in the hotel restaurant, but the survey required a rating. it is in the heart of the city, walking distance to some restaurant and also to some landmark. 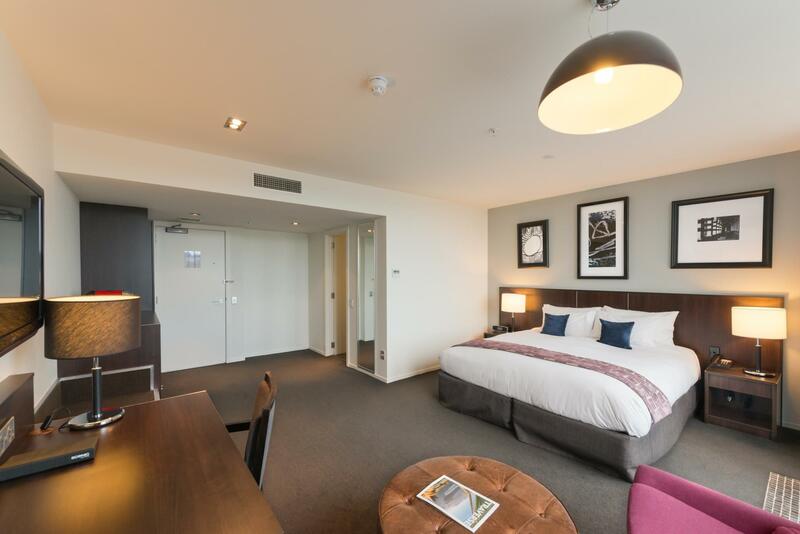 Perfect location for restaurants and central shopping. . Hotel clean and realatively modern. Staff nice and helpful.